A truly tremendous 21 year old offering from the valley of the geese, Glengoyne. 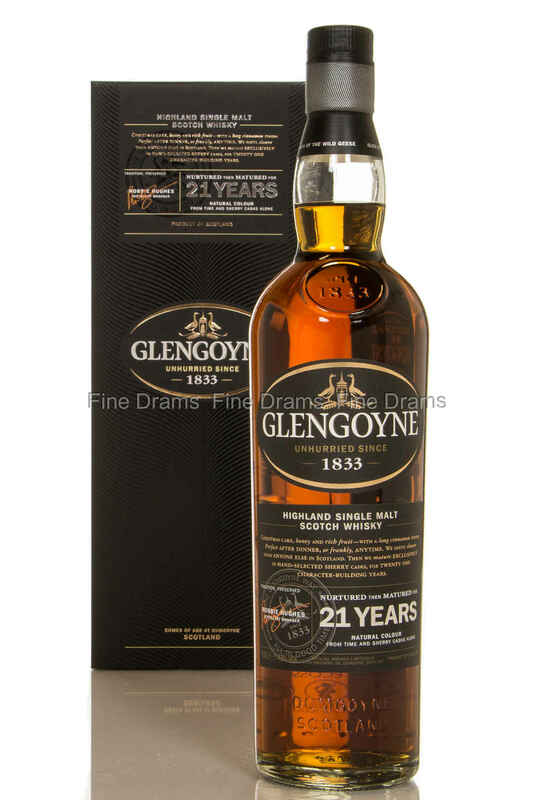 Glengoyne is known for its sherried style, and this bottling shows it over better than most. Yet there are other notable features about this distillery: it uses only Scottish barley, is said to distill at the slowest rate in Scotland and all but one (the excellent Cask Strength) of the bottlings in the standard range carry an age statement. This whisky really hits the sweet spot between oak and spirit character, with beautiful notes of plums, cherries, apples, warm barley, dark oak, rich dried fruit, raspberry jam, stewed tea, and charred oak. Presented in handsome black box, this is the complete product. A terrific whisky.